The new member of the Empress Reader family is finally here! EM02-ETH is the latest product addition to the Empress™ Reader family, which is equipped with improved designs and additional functionalities. Designed to be more stylish and user-friendly, the panel is repositioned on the top for more convenient operation. Plastic casing, which is light, durable and easy for mounting onto different locations, is adopted to replace the original metal case. At the same time, the EM02-ETH reader provides more powerful functionalities with enhanced performance. There are several featured upgrades and functionalities of EM02-ETH. First, the new RSSI function provides signal strength data for assessing distance and more accurate tag location. 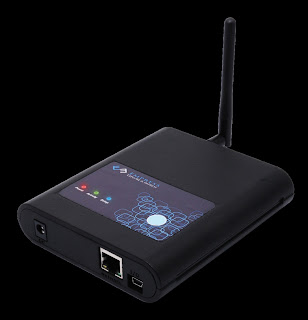 Second, with the improved reading speed, the EM02-ETH reader is capable of reading around 150 tags per second, significantly enhancing efficiency. Third, remote firmware upgrade is supported allowing users to update the reader’s firmware conveniently. Together with the launch of EM02-ETH, catalogue and introduction video has also been published. Please click on the following links to download the product catalogue and watch the video.